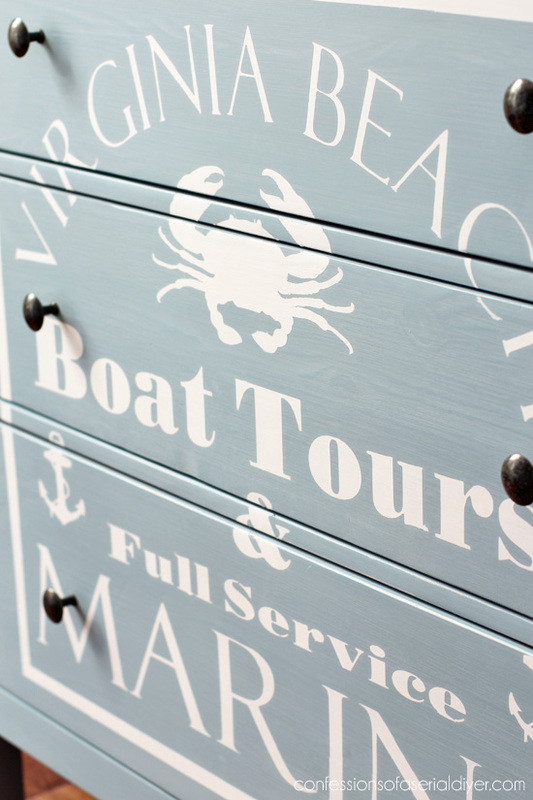 Hello sweet Friends, and welcome to Themed Furniture Thursday! 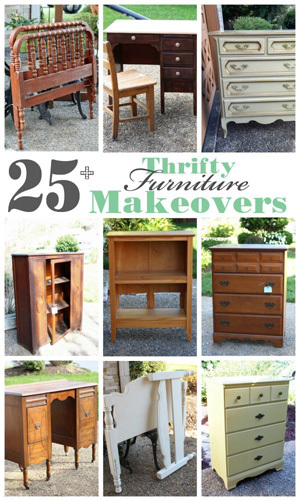 Ya’ll know I love to bust out some furniture makeovers around here, but when I get to do it with a bunch of my furniture flippin friends, it’s even better! 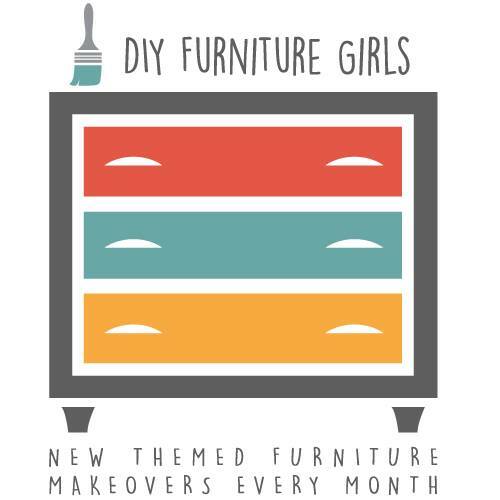 We get together monthly to share a furniture makeover, but the fun part is…there is a theme! This month’s theme is “Words”. 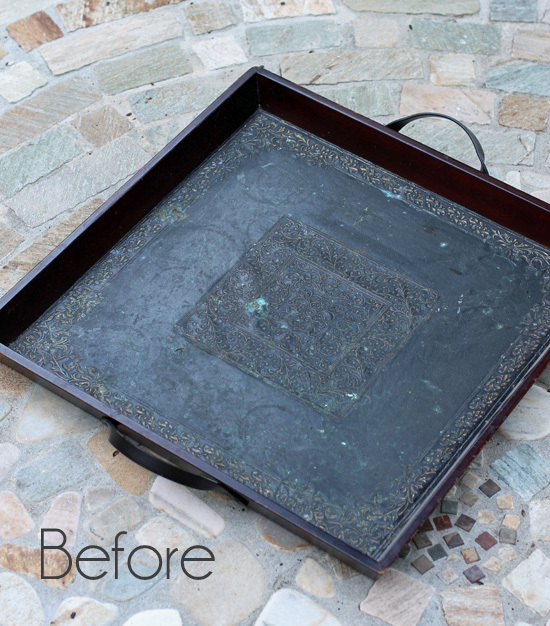 I originally planned to share the Vintage Coffee Table makeover I shared on Tuesday for this month’s theme, but today’s project was finished just in time and is an even better fit! I encouraged him earlier this year to make over a few pieces of his own to make a little money. He was all about it. My only request was that they had to fit with the style I already have going in my booth. If you missed the projects I’ve already shared you can see them HERE, HERE, and HERE. Those smaller pieces he redid all sold, so he was anxious to try a larger piece. We found this dresser at the Salvation Army for $30. It’s hard to tell the scale of this dresser in this photo, but it is quite large. 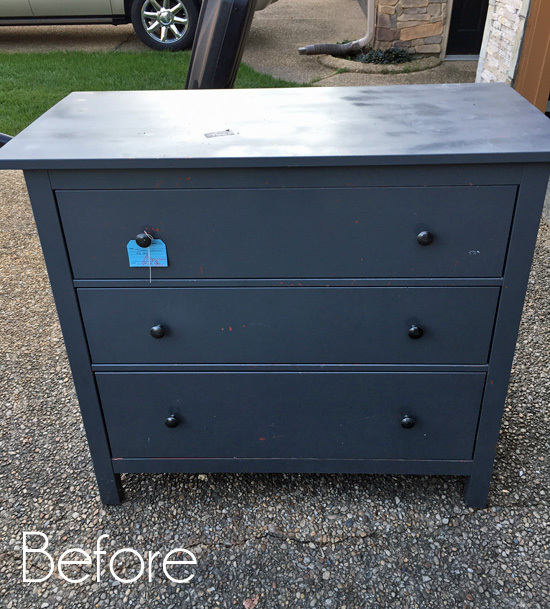 The top had come unattached, and it had a terrible paint job, but the drawers worked like a dream, so I knew it could be a winner. 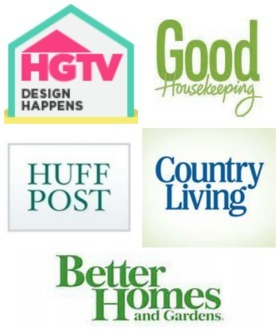 I have included affiliate links so you can find the products I use. 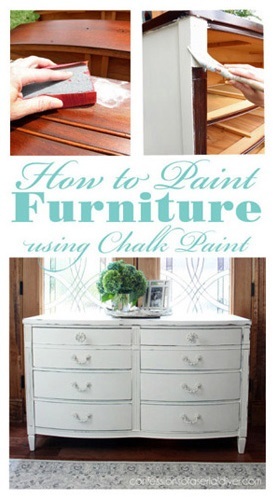 Then he spray primed with Rustoleum Spray Primer before painting two coats of Behr’s Peaceful Blue made into DIY Chalk Paint. After Jack had tackled all the hard work, I jumped in to help with the fun part, adding the graphics to the front. 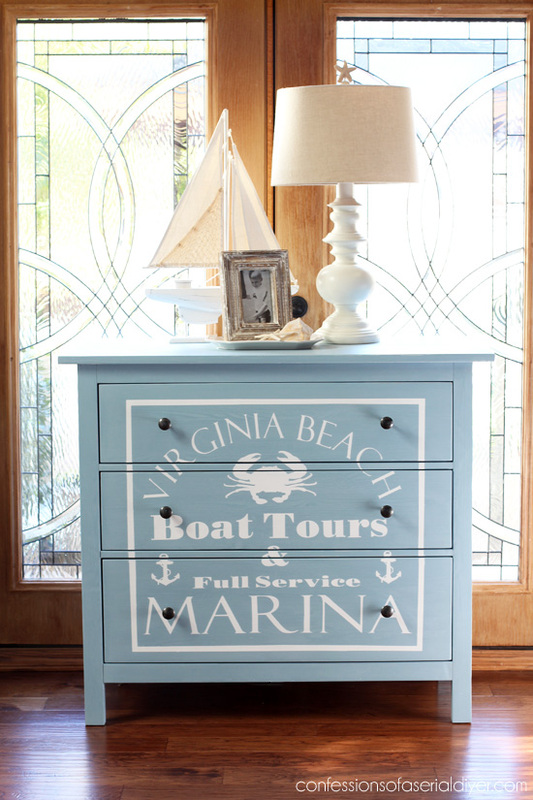 I imagined this dresser in a boy’s room, so we set out to give it a nautical/beachy vibe. We chose this blue (Peaceful Blue by Behr) and I just love it! 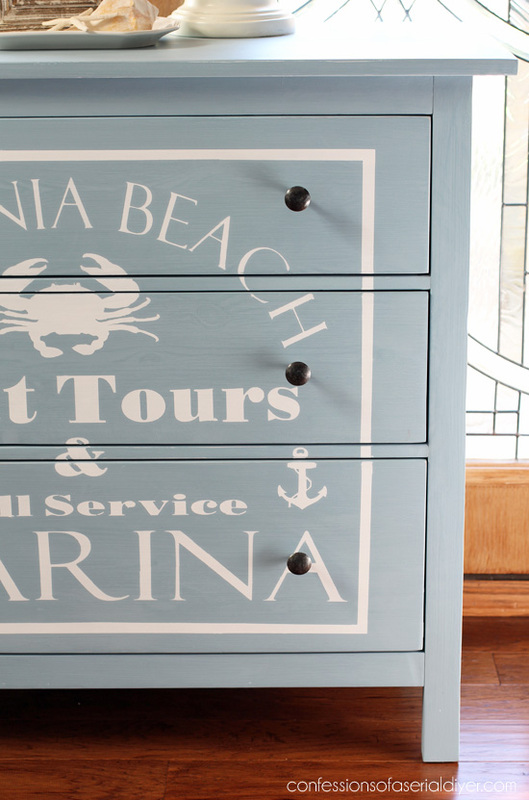 The original plan was to add a crab to the front like I did for this $5 Yard Sale Dresser, since that sold quickly. The flat front is perfect for adding graphics, but I really wanted to do something different, so I created a new design we both liked. 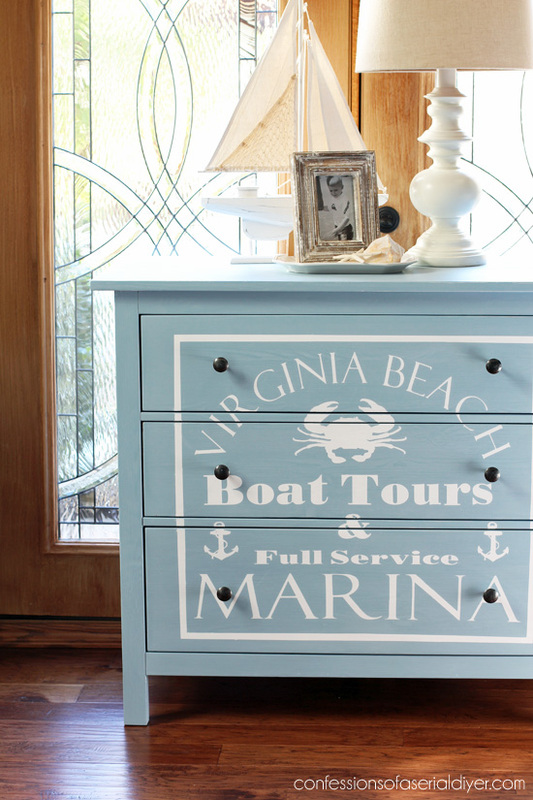 We live in Virginia Beach and I like being able to add that to some of the pieces I do. There were a few areas that needed a little touching up, then I lightly sanded with 320 grit sandpaper to smooth out any rough areas, and sealed with Annie Sloan’s clear wax. We decided to reuse the original hardware which saved some $$. 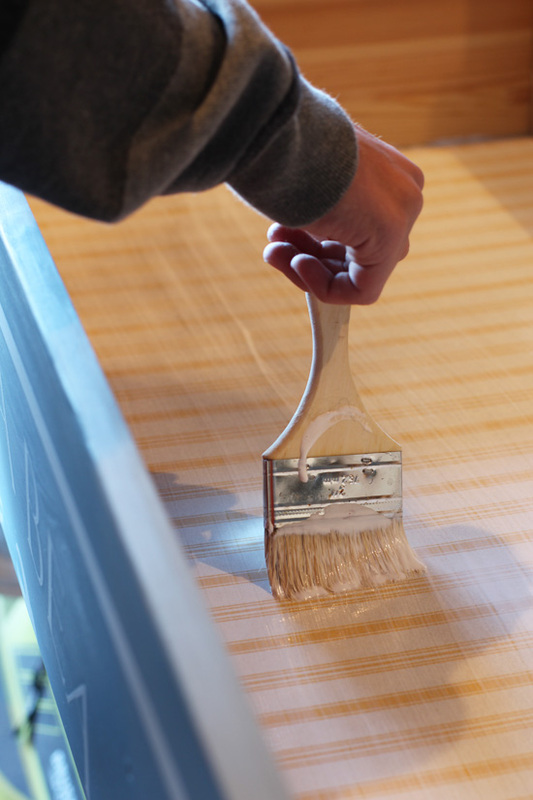 Those chip brushes are often used as throw-away brushes, but I reuse this one for applying Mod Podge over and over. I just clean it well with dish liquid and really warm water. This was such a fun piece to work on with Jack! Probably because he did all the not-so-fun parts ha ha. I kind of like that arrangement! 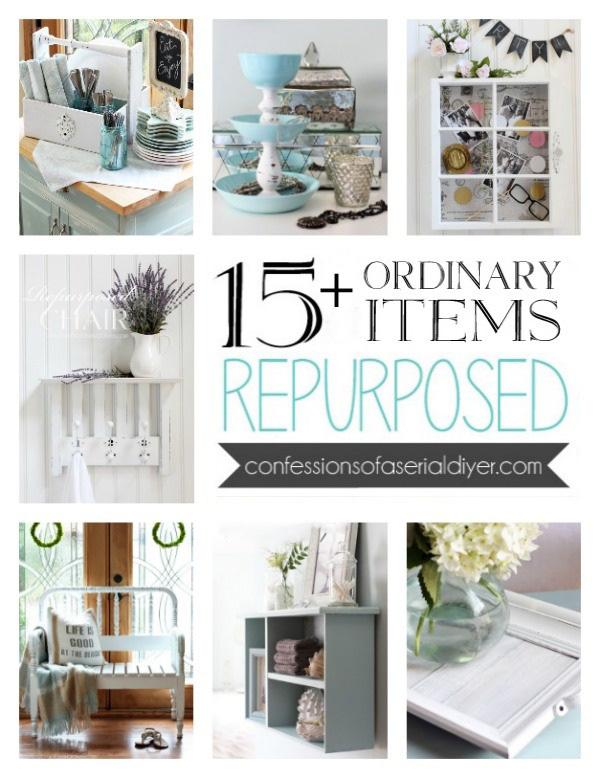 Visit all of my previous themed furniture makeovers HERE. UPDATE: Just like magic, HERE it is now! All I can say is WOW!! That turned out AMAZING!! You two are so talented!! Great job Jack, great eye spy picking out such a great piece to makeover. I hope you sell it and make lots of money on it! Love seeing your projects, keep them coming! WONDERFUL!!!! 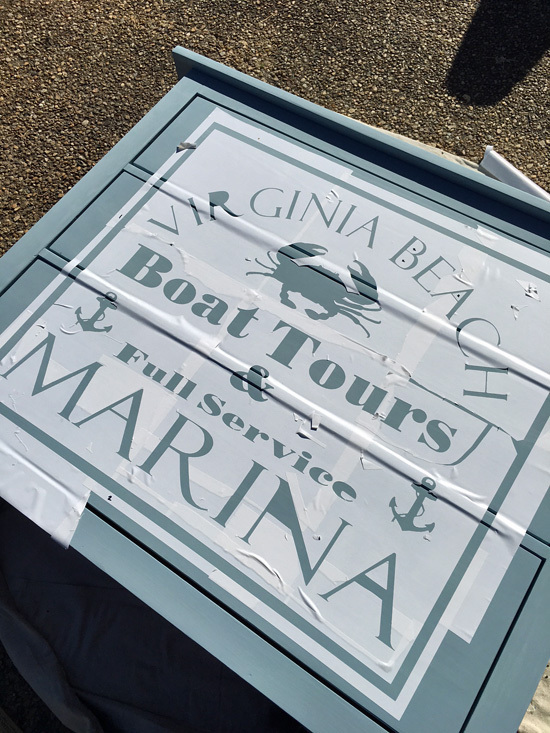 Jack, “don’t let her get off easy….make her do the hard parts and you do the fun parts.” Good team work on this one!!!! Love that color of blue you guys picked. You are amazing, Christy!! (But I have said that before..) Now I must say: You two are amazing! 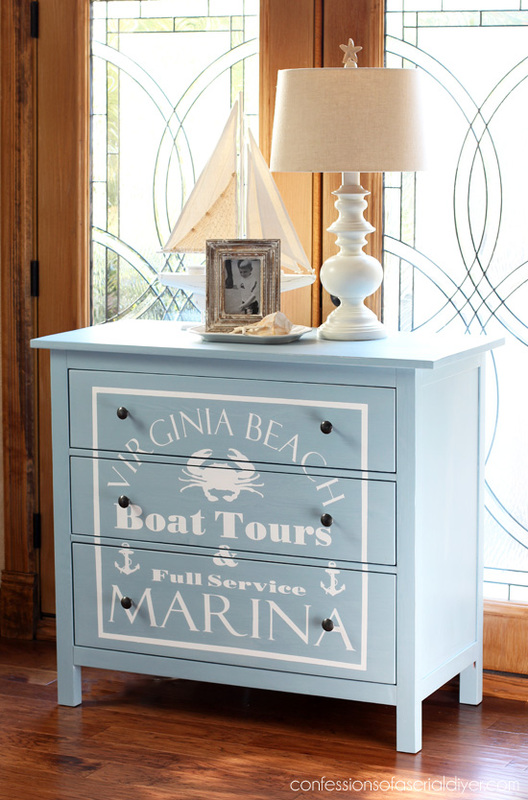 What a sweet dresser! You and Jack did a fabulous job. 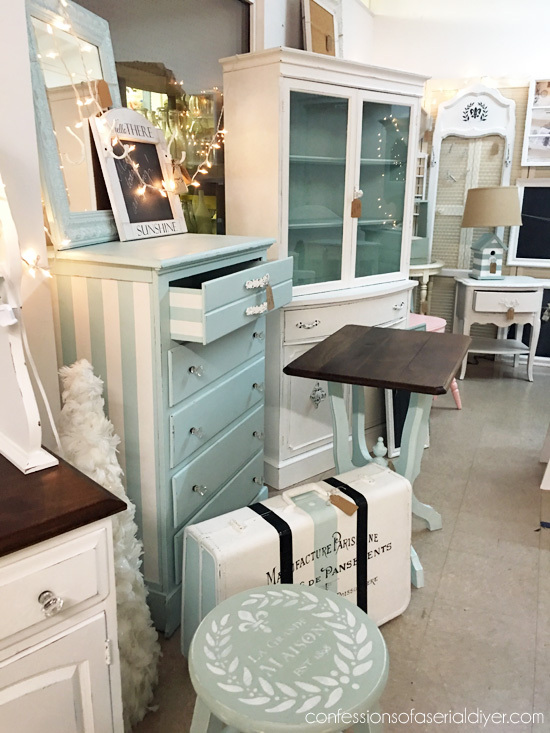 That dresser will leave your booth in no time! How nice to see your son taking an interest at his age to do this… love the outcome. Great job to you both! I love this! I have an old pine nightstand that we now use for a table in the basement. This would be a great idea for a change up on that especially since the theme is beachy down there. Thanks so much for sharing – beautiful job! Great job Jack! I love it! This will be a quick sell I’m sure!! This is too cute! Such a special project too to be able to do the makeover with your son. Loving your graphics! I haven’t tried something so large on my Silhouette, but you are giving me inspiration to try! Pinned! Wowee wow! The two of you did a great job on that piece. I see it in the entryway of a house or in a dining room, for linens and serving pieces. 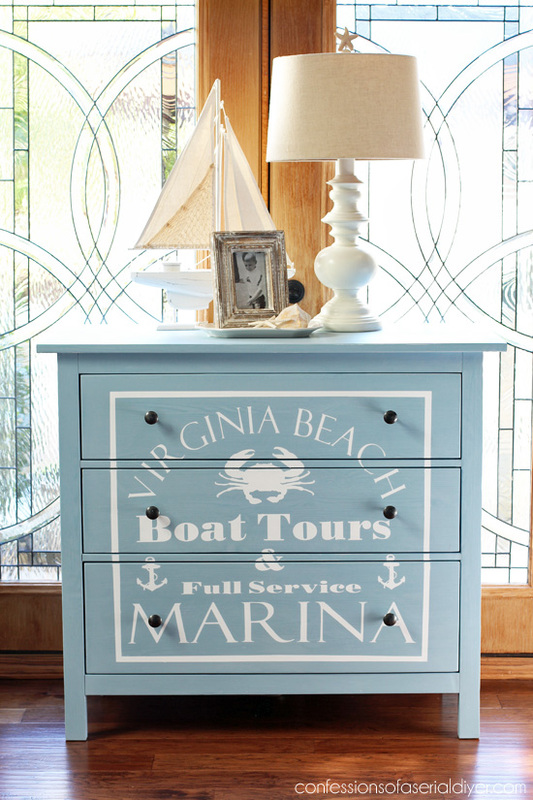 Of course, it would be perfect in a poolhouse or mudroom. So many great uses, Jack should see a quick return on his investment! Incredible transformation, I love this piece! Where is your booth and how much is this dresser? Very impressed that you are teaching your son some very valuable skills that will benefit him the rest of his life (and that he is willing to get in there and do the work)! Such a beautiful transformation on this piece. Really love the color. Good luck on the sale. Wow, Jack and Mom did good! What a difference between the before and after. I suspect Jack will earn himself some Christmas money because this is sure to sell long before the big day. absolutely gorgeous! I love the transformation! Another beautiful job done by Jack! He’s getting really good at this 🙂 I see a partner in your future Christy. Love the graphic that you and Jack created for this makeover. The dresser looks great and I hope that Jack soon has some extra change in his pocket from selling it to spend. Christy you must be so proud of Jack he did such a great job. I hope he does many more projects its a nice part time job for him. That is awesome – really love it! Thanks, Julie! Jack is so encouraged by all the sweet comments! 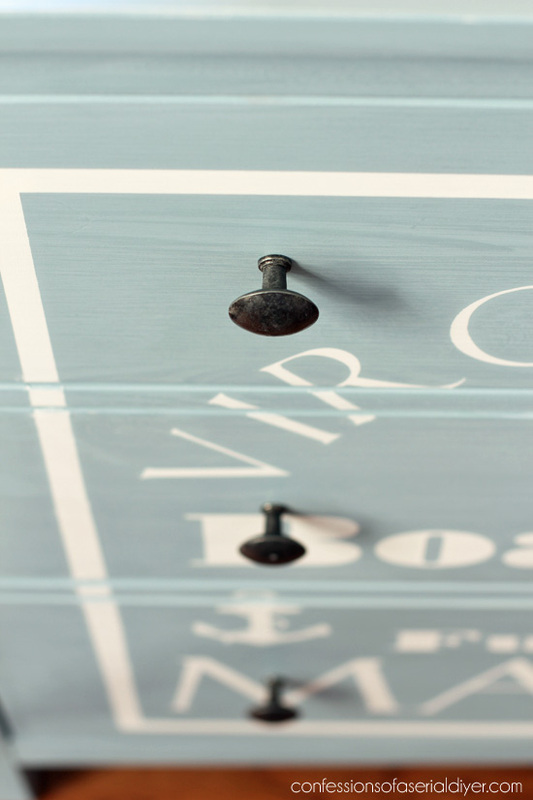 You’re right…this could really work well as a sideboard! Christy, magnificent job by two very talented people. I am always amazed how hard you work. Is Jack available for hire? 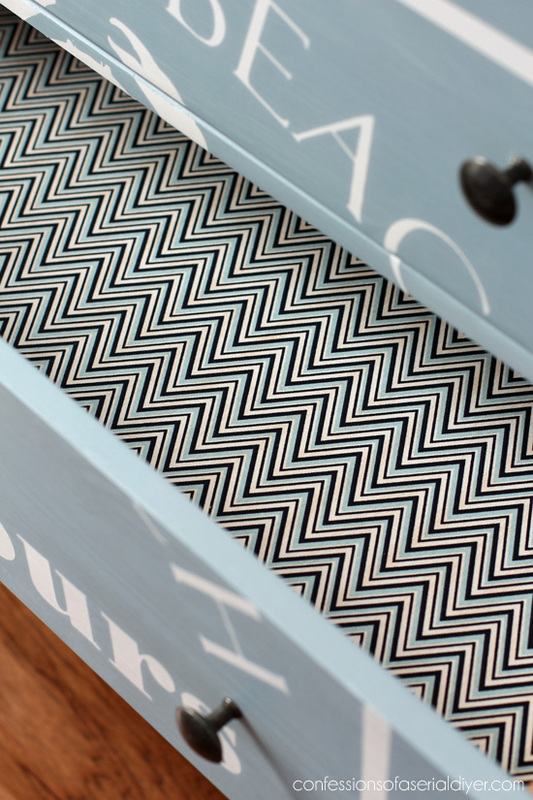 This dresser makeover is absolutely a knock-our. If I lived close, I’d come buy it. Mom and son, awesome. Jack is learning from the best. Love the color and the graphics Christy. OH WOW!!! This is up there as one of my favorite pieces you’ve done. Some special girl will appreciate all the skills Jack is acquiring when he’s ready to set up house. ( In like 20 years!!) I love it. And learning to EARN money is another valuable skill. Great job to you both. Yeah Jack. Gorgeous, wonderful job, just not enough adjectives to describe what a great job you did. Christy Jack did an awesome job!! And that pieced together stencil is really great. 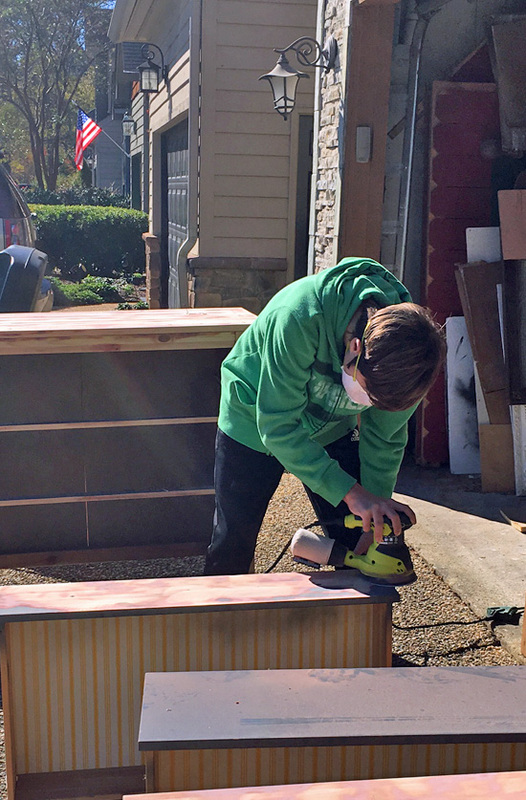 It must be such a pleasure for you to be able to share your love of furniture makeovers with your boy. Wow, this turned out really great! I like the flat front and how it works with the graphics. Great color too. I think its cool that you can personalize.. or “locationalize?” -is that a word?, haha – an item like this. Serious added value, in my opinion! Great work, Jack!! !